Denis Wirth-Miller and Dicky Chopping were a couple at the heart of the mid-twentieth century art world, with the visitors' book of the Essex townhouse they shared from 1945 until 2008 painting them as Zeligs of British society. The names recorded inside make up an astonishing supporting cast - from Francis Bacon to Lucian Freud to Randolph Churchill to John Minton. Successful artists, although not household names themselves, writing Dicky and Denis off as just footnotes in history would be a mistake. After Denis's death in 2010, Jon Lys-Turner, one of two executors of the couple's estate, came into possession of an extraordinary archive of letters, works of art and symbolically loaded ephemera the two had collected since they met in the 1930s. 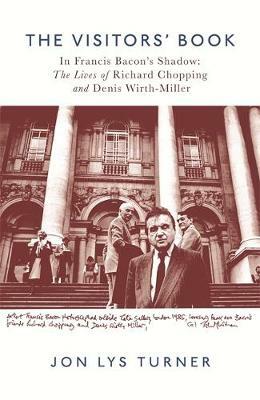 It is no exaggeration to state that this archive represents a missing link in British art history - the wealth of new biographical information disclosed about Francis Bacon, for example, is truly staggering. The Visitors' Book is both an extraordinary insight into the minutiae of Dicky and Denis's life together and what it meant to be gay in pre-Wolfenden Britain, as well as a pocket social history of the era and a unique perspective into mid-twentieth century art. With reams of previously unseen material, this is a fascinating and unique opportunity to delve into post-war Britain. Buy The Visitors' Book by Jon Lys-Turner from Australia's Online Independent Bookstore, Boomerang Books. Jon Lys Turner first met Dicky Chopping in 1981, shortly after beginning his Masters degree at the Royal College of Art. The pair developed a close friendship that would last until Dicky's death in 2008. Jon has worked at the top end of the UK design industry ever since completing his Masters, and has been creative director to some of the world's largest brands.